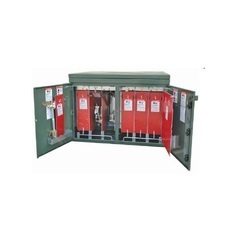 Manufacturer of a wide range of products which include switchgear cover top housings and switchgear bottom housings. 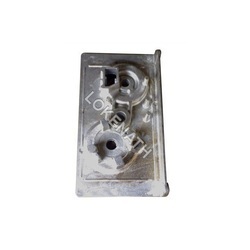 Our company specializes in manufacture of castings for direct use in assembly of Switchgear Cover Top Housings. These Aluminium sand castings are manufactured with accuracy and finishes that avoids need for machining. The castings have proper radii at all places to avoid CORONA effect during transmission of power. The castings are manufactured with due precautions to make them very sound to avoid sparking and pitting due to porosity/internal defects. Switchgear Bottom Housings offered come in precision designed & constructed finish and can be provided with addition of active silica micro powder so as to enhance its electrical insulation performance in moisture environment. Coming with smooth surface & high insulation support, these housings can also be developed by us as per OEM specifications provided by the customers. Some of its features include choice of different surface treatments like anodized, power coating, polishing; availability in different dimensions according to client's request, providing excellent mechanical and electrical performance among others. Looking for Switchgear Housings ?